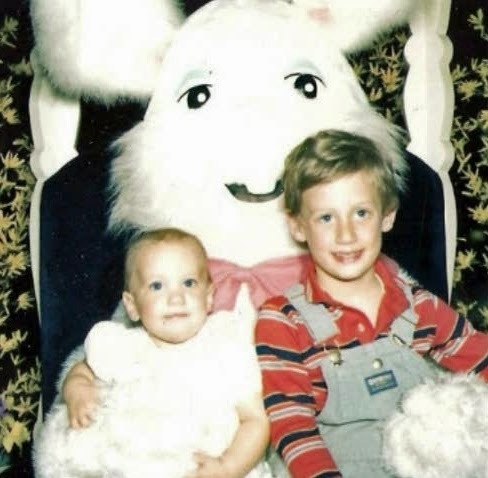 Is it just me or did Easter Bunnies from when I was growing up look a little creepy? This bunny is truly the stuff nightmares are made of. He looks a little more likely to hide in the bushes & rob our house than to leave sweet Easter surprises. How did I willingly sit on his lap & smile? How was I not running away & crying in terror?! 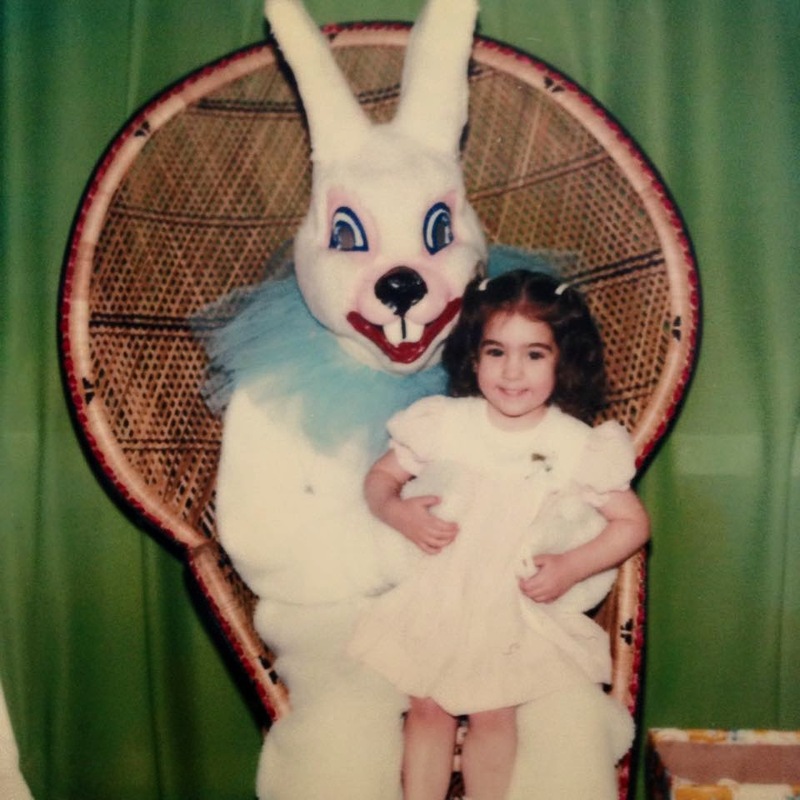 This Easter Bunny that Daddy & Aunt Andrea are sitting with looks a little less terrifying, but something about the eyes make him look a little...drunk? Clearly someone spiked his peeps. I hope he had a designated driver to take him around for all of his Easter activities. But, seriously, isn't Daddy so stinkin' cute in his overalls? 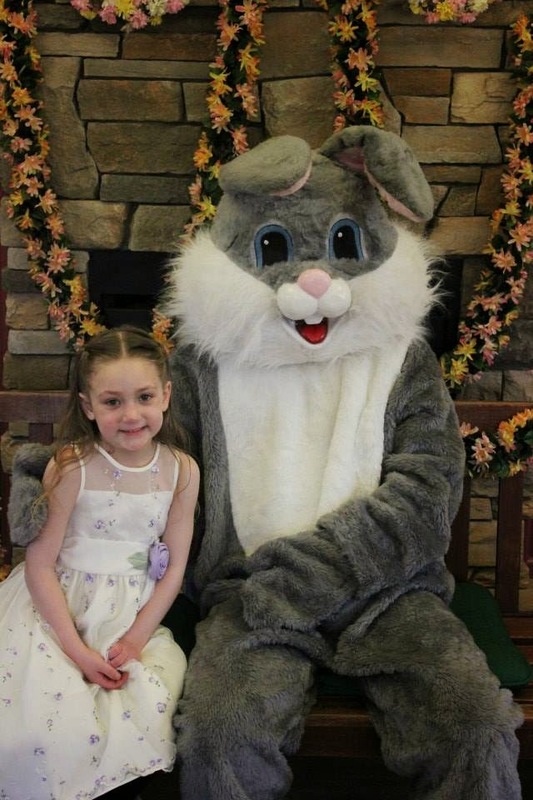 Thank goodness for the Easter Bunny at Roger Williams Zoo. No need for horrifying nightmares or breathalyzer tests. He's just your average, friendly, neighborhood Easter Bunny. So, when you're in your teens & you think that I'm probably the worst mom in the whole entire universe, just remember who kept you away from the creepy, possibly drunk Easter Bunnies.